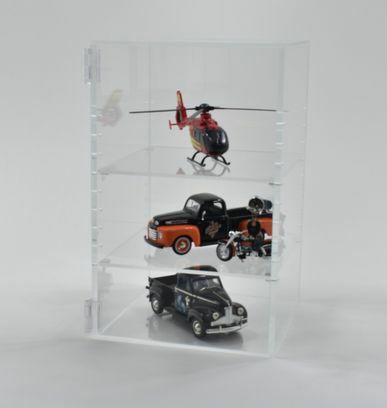 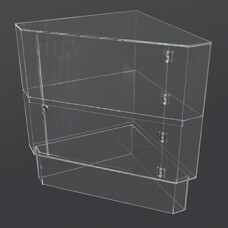 UK manufactured clear acrylic locking display cabinets 5mm and 8mm clear acrylic (Perspex), Choose from our standard cabinet range delivery within 2 weeks or supply your own dimensions for a bespoke unit which may take up to 3 weeks to make. 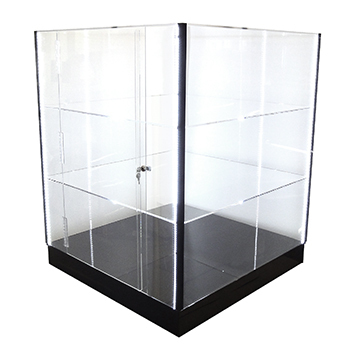 Display cabinets can be in large and small sizes with fixed or adjustable shelves and supplied with internal steps or plinths. 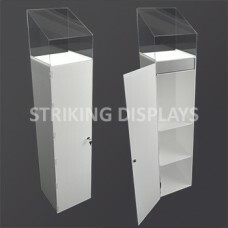 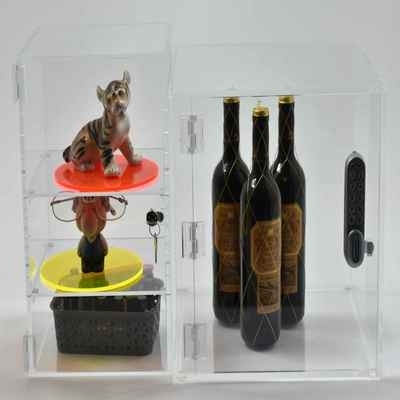 Our display cabinets can be mounted onto pedestals or fitted with turntables. 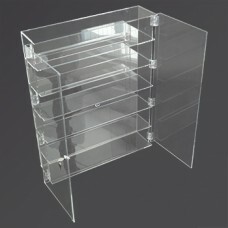 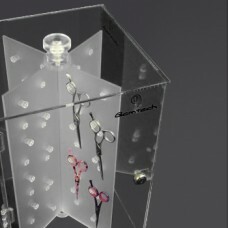 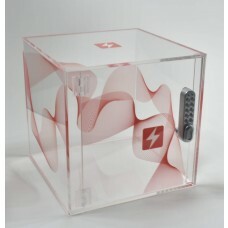 We can use coloured and mirror acrylic for the back or the whole cabinet and will be priced to suit your requirements. 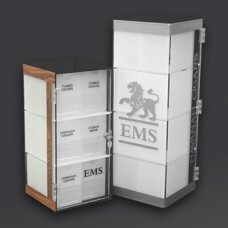 We make locking cabinets for jewellery, crockery, trophies, collectables, costumes and much more. 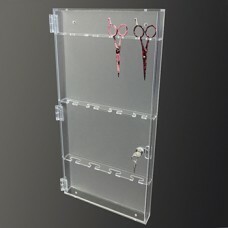 Possible to have sliding doors on some sizes, can also be drilled to wall mount or fit to the counter or floor.